The Museum of Art and Digital Entertainment (The MADE) will be spending Sunday, September 28th, attempting to resurrect the world’s first massively multiplayer online game, Habitat. 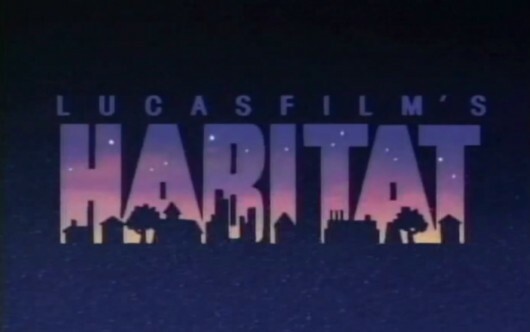 The project seeks to relaunch the Habitat server on original Stratus Technologies hardware from 1989, and to allow users on the Internet to connect to the game server for free using a Commodore 64 emulator. The MADE is the first videogame museum to attempt such a relaunch. In fact, there has never been an attempt to relaunch a 28 year old, dead MMO before, primarily because MMO’s are mostly a phenomenon that has existed only over the last 15 years. As the first MMO, Habitat invented a lot of the terms used today, such as Avatar. The game was hosted on the Quantum Link service, which eventually became America Online. Other companies involved in our Habitat resurrection project include Fujitsu, which owns the rights to the game, KIXEYE, the leader in online and mobile combat strategy games, which is sponsoring the effort, and Stratus Technologies, which donated the vintage server. Perfect World and Cryptic Studios have announced Season 13 - Escalation for Star Trek Online. Gravity Interactive has announced that Maestia will launch on its WarpPortal this summer. Gamer Sensei, whom we recently worked together with, are now going to be partnering with the EU LCS team H2K for tutoring/coaching!